Celebrate the Holiday of Freedom in Hebron! 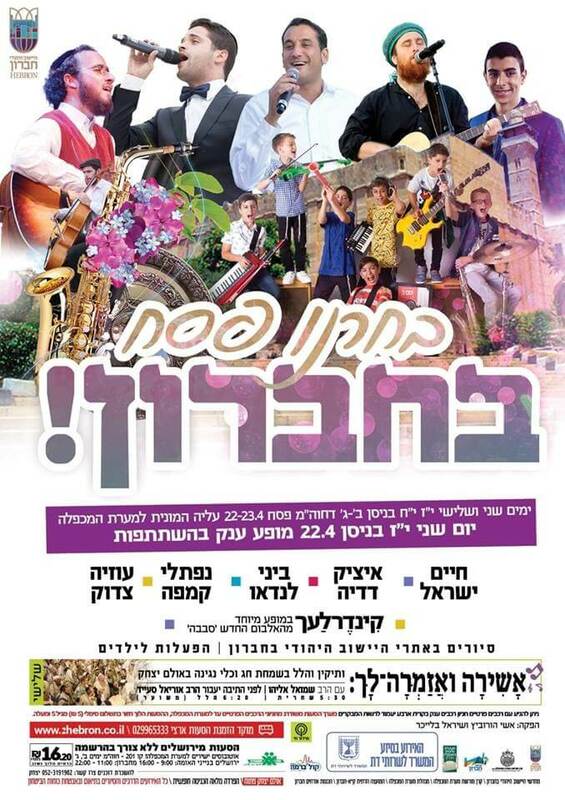 Chol Hamoed fun for family members and groups of all ages. Guided tours of Hebron, including Ma’arat Hamachpela, are available before, during and after the holiday. Archaeological sites in Tel Hebron will be open over Chol Hamoed, as well as fun holiday activities for the whole family such as inflatable bouncy castles, the new Visitor’s Center in Beit Hadassah, and “safari” tours of the scenic Hebron hills. To reserve spots on the Hebron Fund tour (bus leaving from Jerusalem), please sign up here. The Isaac and Rebbecca Hall, including the “entrance to the Garden of Eden” and the memorials to Isaac and Rebecca, will be open to the general public on Monday April 22 and Tuesday April 23. The Isaac and Rebbecca Hall is usually reserved for Muslim prayer services. Pesach is one of the ten days a year as per our rotation agreement when it is accessible to Jews. 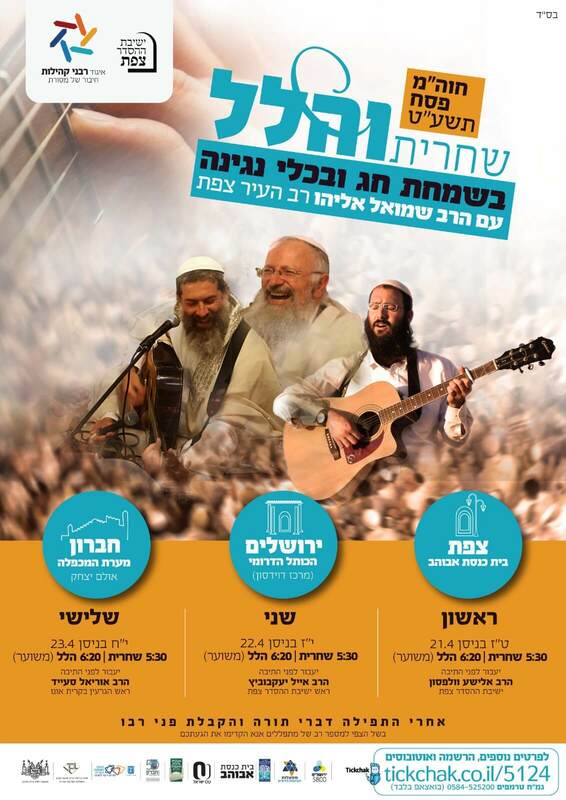 ~Annual Passover Music Festival in Hebron featuring popular musicians such as IHaim Israel, Bini Landau, Itzik Dadya, Uzia Tzadok, Naftali Kempeh, The Kinderlach, and more! ~Musical Hallel in Ma’arat HaMachpela with Rav Shmuel Eliyahu, the Chief Rabbi of Tzfat in the Hall of Issach and Rebbecca. Prayers start at 6:00 am, Musical Hallel is called for 6:45 am.